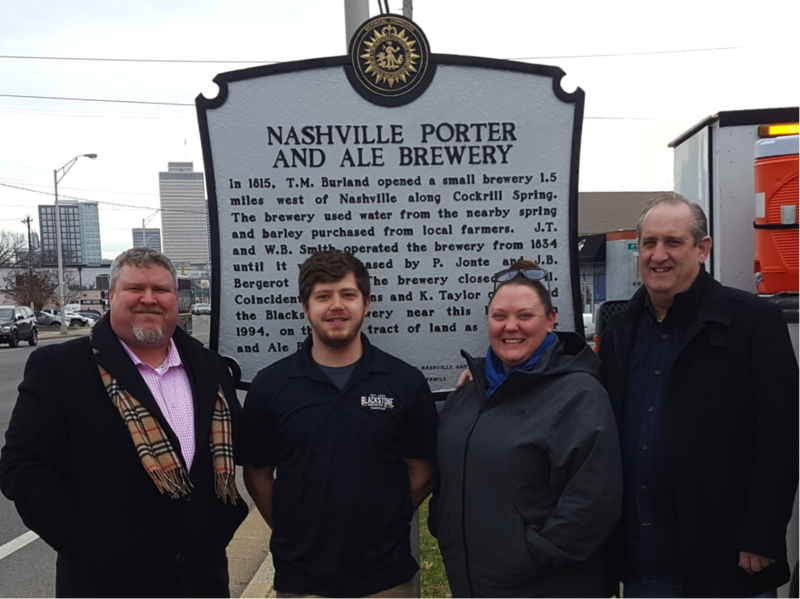 Nashville, Tennessee • January 25, 2019 — A new historical marker celebrating the Nashville Porter and Ale Brewery was recently installed by Metro Nashville Public Works at Charlotte Avenue and 19th Avenue North. 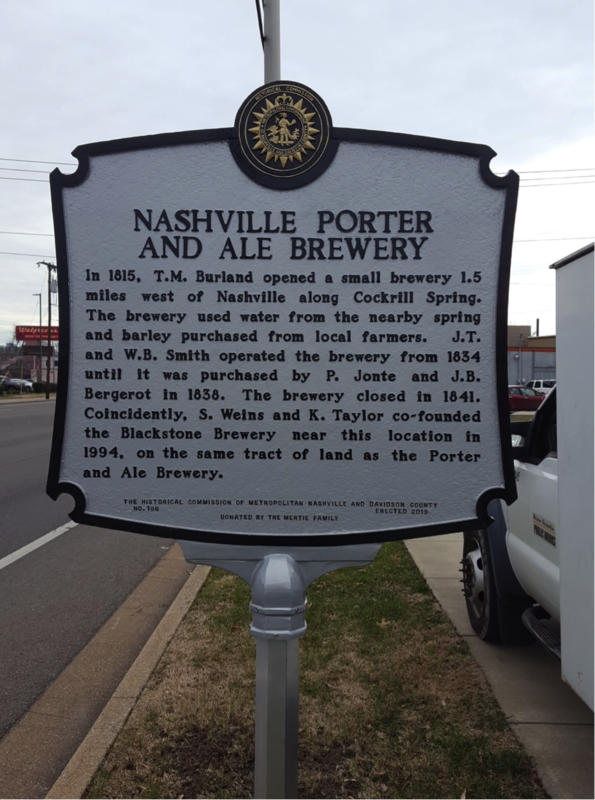 The Nashville Porter and Ale Brewery, founded by Thomas Burland in 1815, served Nashville’s earliest residents. It was located 1.5 miles west of downtown on the original Boyd land tract and utilized water from Cockrill Spring, which flowed from what is now Centennial Park to the Cumberland River. 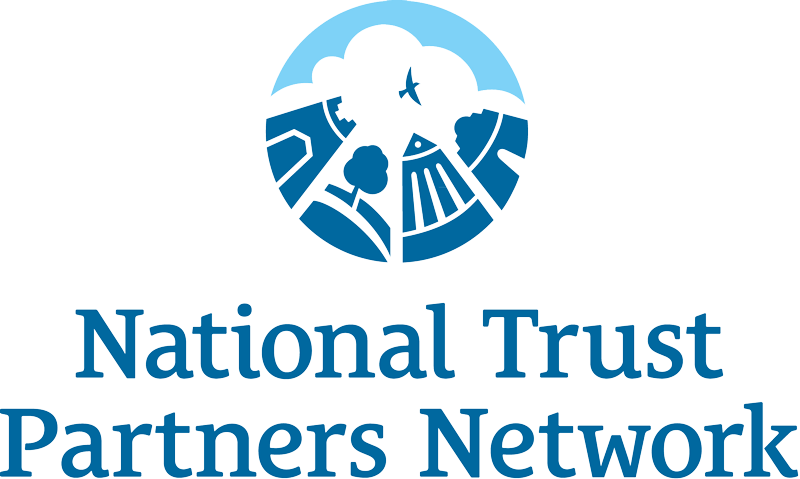 A dedication ceremony will take place at 3 p.m. on February 19 with Vice Mayor Shulman and representatives from the Metro Historical Commission. Immediately following the ceremony, beer and appetizers will be served at Blackstone Brewing Co., 2312 Clifton Ave. 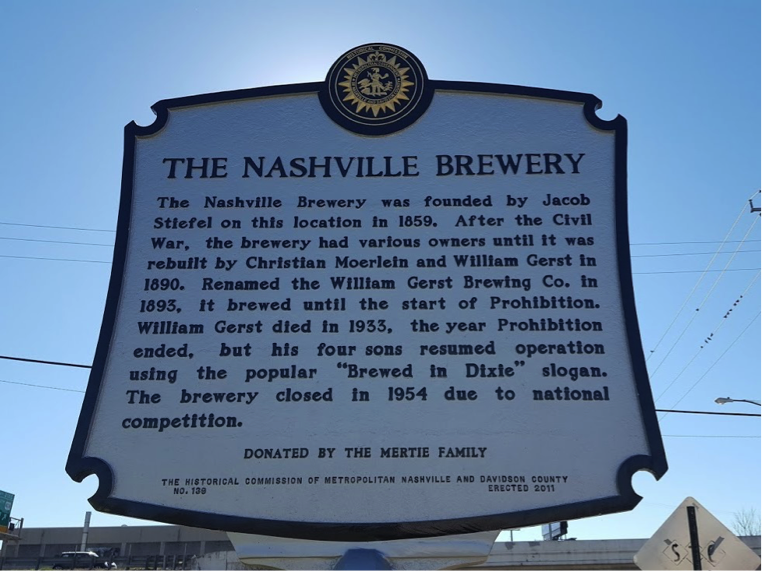 Coincidentally, Blackstone Brewing Co., Nashville’s oldest craft brewery was founded in 1994, on West End Ave., by Stephanie Weins and Kent Taylor; which was on the same historic Boyd land track. Blackstone continues to brew award-winning beer at its production brewery on Clifton Avenue, just a few blocks from the historical marker. 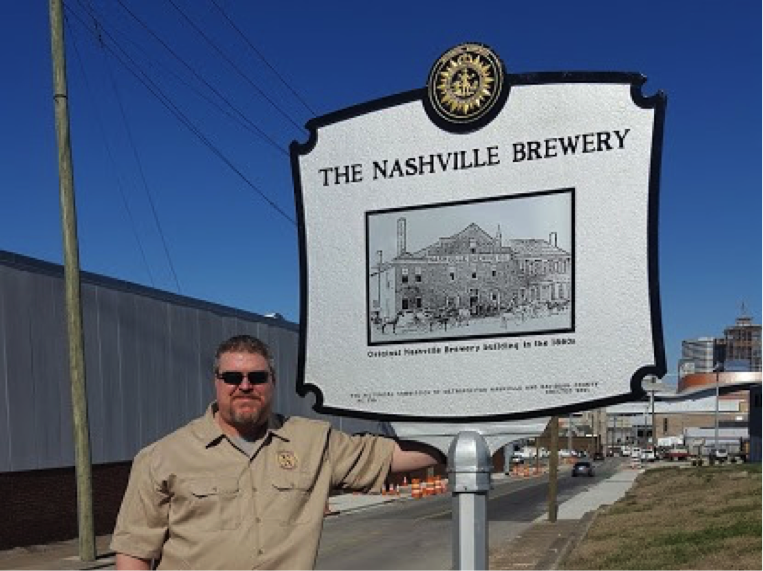 This is the third brewery-related historical marker commissioned by Scott Mertie and his wife, Candy. 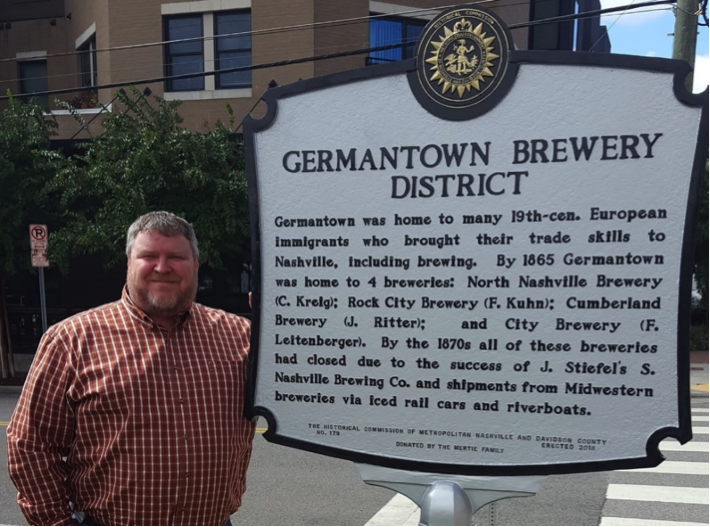 The first marker was erected in 2011 on 6th Avenue South at the original location of the Nashville Brewing Company (1859-1890) and the Gerst Brewing Company (1890-1954). 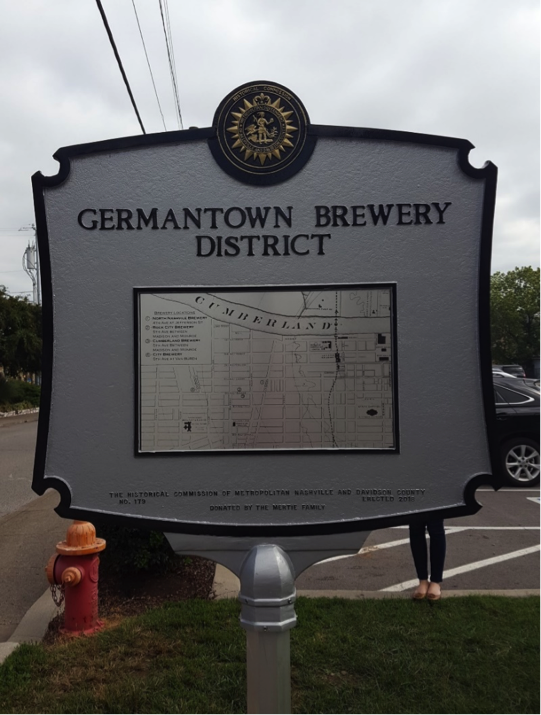 The second marker located on 5th Ave North recognizes the four Germantown neighborhood breweries that operated in the 1860s. Mertie is the author of Nashville Brewing (Arcadia Publishing; 2006) and owner of the Nashville Brewing Company, which recently won awards at the World Beer Cup and Great American Beer Festival.